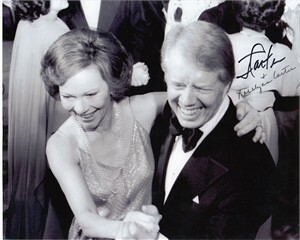 8x10 black and white photo of Jimmy Carter and Rosalynn Carter (probably from one of the inaugural balls) autographed by black marker by both President Carter and the First Lady. 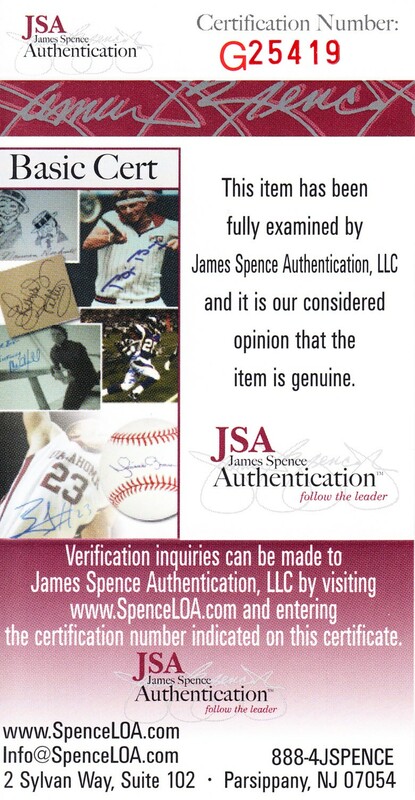 Authenticated by JSA, with their matching numbered sticker on the back of the photo and certificate of authenticity. ONLY ONE AVAILABLE FOR SALE.